Nani celebrates his birthday on the 24th February. On the eve of his birthday the title and first look of his new film was unveiled today. The film is currently being directed by newcomer Shiva Niravana. This film is a love story set in the backdrop of USA. Nani tweeted the first look poster. With the success of Nenu Local, the actor has bagged a double hat trick with six consecutive hits. Directed by Trinadha Rao Nakkina, the film got a stupendous response from the audience. Without taking a break, Nani is back on the sets shooting for his next and the team has released the first look a few moments ago, as a birthday gift to the actor. Nani is going to celebrate his birthday on the 24th of February and the makers have released the look in advance for the fans. The film is titled as Ninnu Kori and Nivetha Thomas is playing the female lead in this movie. This is the second time Nani is pairing up with Nivetha after Gentleman. Aadhi Pinisetty and Vidyullekha Raman play a pivotal role in this new project. 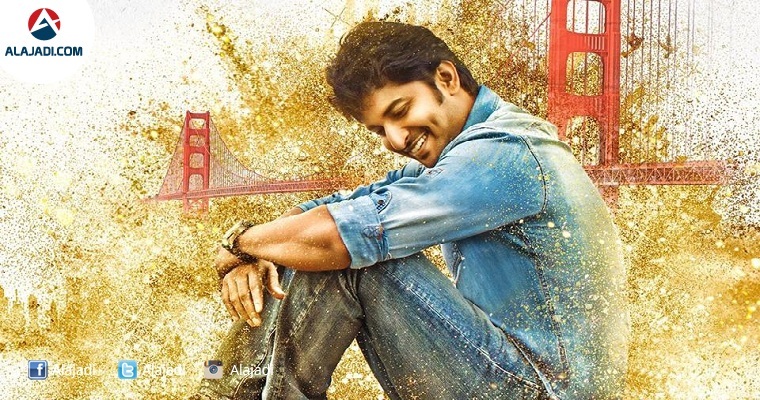 In this first look poster, Nani looks charming and it seems he is back again with an interesting love story. This unit is currently shooting in the USA. This movie is being directed by Siva Nirvanand and reputed producer D.V.V. Danayya is bankrolling this project under DVV Entertainments banner. The film’s music is by Gopi Sunder and it is slated to be a July 2017 release.